With each passing year, the number of names on our holiday shopping list seems to grow. (After all, just think of how many new people you meet in 12 months’ time.) Since there’s a direct correlation between the size of your list and your stress levels during the holidays, we’re bringing you the ultimate guide to gift shopping, leaving you with more time to enjoy the festive season. From budget management hacks to tried-and-true timeline tips, we’ve got you covered. Scroll down to see our ultimate gift-giving organization guide! Before you begin shopping, make a list of everyone you need to gift, and set a thorough budget. Do this by first realistically deciding how much you can afford to spend on gifts total, then break it down according to person. As you shop, make a note by each name of what you purchased for them and how much you spent. Subtract that amount from your total budget. This simple method will help keep you from overspending! Tip: Set aside a portion of each of your paychecks as the holidays approach to use toward gifts. While Black Friday officially kicks off the holiday shopping season, sales are starting earlier than ever this year (as in right now!). If you start now, it’s possible to complete your shopping by early or mid-December. That way, you can enjoy the holiday season without running around for last-minute presents. Tip: Shop for out-of-towners first, so that you’ll have plenty of time to ship their gifts without having to pay for expedited shipping. The downside of the onslaught of sales this time of year? Hot-ticket items get picked over quickly. If you see the perfect gift on sale or there’s a promotion on the website, don’t wait for a better opportunity. Chances are it’ll get snatched up by someone else. If you’re interested in an item that’s full price, sign up for the website’s email list, so you’ll be alerted as soon as there are any markdowns. Tip: Keep all of your holiday receipts in one place so it’s easy to track spending. Once you’ve finished your shopping and have a sense of what you need, make a trip to a gift-wrapping mecca, such as The Container Store or Target (also see our handy checklist below). Try to get your supplies by early December, before the good stuff sells out. 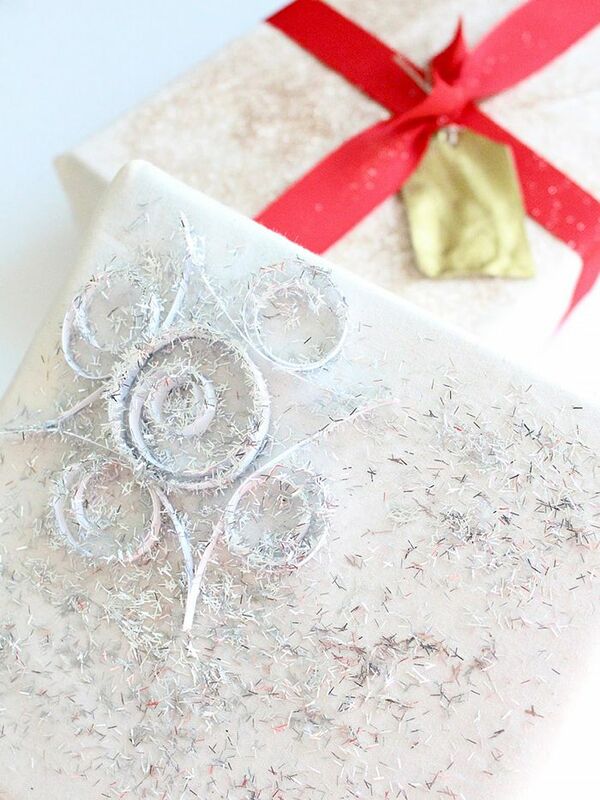 Need gift-wrapping inspiration? Pinterest is a great source for new ideas. If you want to make an event out of it, host a gift-wrapping party and have attendees bring supplies for everyone to use. Many stationery stores and boutiques offer gift-wrapping services during the holidays. This is a great option if you’re pressed for time or unskilled in that department. Tip: Ask for gift boxes when shopping at brick-and-mortar stores! Shop some of our favorite online holiday gifting sources! Keep an eye on our holiday hub this season for everything from thoughtful gift guides to festive outfit ideas!